Silapa Thai Lounge and Bar, at the Shangri-La Hotel, offers extensive cocktail menu with light Thai snacks, an elegant yet affordable place to have a drink in Chiang Mai. Why Silapa Thai Lounge and Bar is special ? 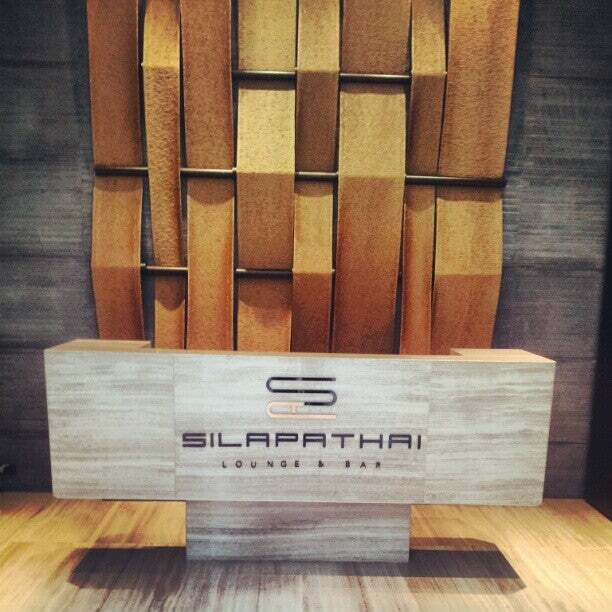 Silapa means "art" in Thailand and that's good introduction to this artfully refined venue in the Shangri-la Hotel. Silapa Thai Lounge & Bar offers an impressively extensive cocktail menu served by entertaining and interactive bartenders as well as DJ entertainment. Accompanied by a large selection of innovatively presented 'Thaipas', this lounge experience is truly unique and is not to be missed. It also has the only 'Chef's Table' in Chiang Mai. How to get to Silapa Thai Lounge and Bar? The Shangri-La Hotel, Chiang Mai, is only a 10-minute drive from Chiang Mai International Airport. Taxi or tuktuk can also take you to the place. You can come for their evening buffet where you can eat as much as you can, delicious plates for all tastes whether European or Asian food. There is a little playground in the restaurant with slides for your kids. We can only recommend their evening buffet where you can eat as much as you can ( even if it might be better not to eat to much late in the day) delicious plates for all tastes whether European or Asian food. Charming restaurant with the most attentive and friendly staff for only 699 THB pp. They also have a good wine card. Wonderfull terrace in an inner garden. Don't miss out on this.